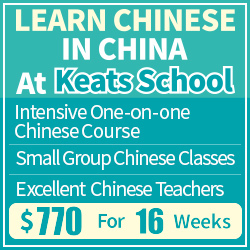 Learning to read and write Chinese is not like learning to read and write most other languages. Chinese doesn’t make use of a simple alphabet to represent all the sounds of the spoken language, but rather many thousands of characters to represent various concepts. 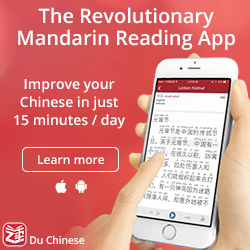 Thus, if your goal is to learn Chinese properly, it’s likely that learning to read and write is what will take you the longest time to accomplish. Fortunately, this is also an area where there are lots of hacks that will make the process a lot easier. 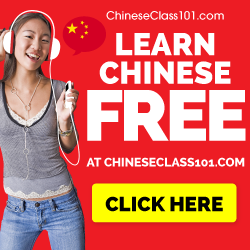 Before reading this article, I assume that you have already started building the first part of your toolkit for learning Chinese, i.e. you have to know about radicals and character components. If you haven’t, read the first article here about the toolkit hereon Hacking Chinese. 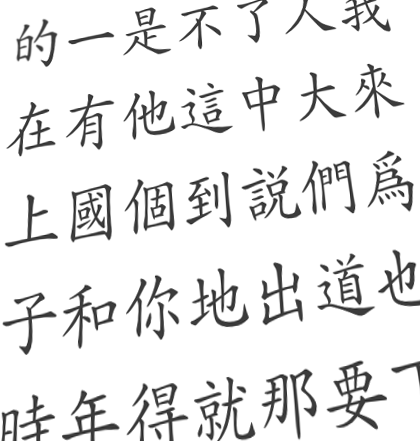 Some characters, such as many radicals or some simplified characters, have very few strokes. Sometimes, they are pictures or represent logical concepts and these cases are easy to learn as long as you know what the character means. For instance, remembering that 一 means one and 人 means human is fairly obvious. If you can’t figure it out just by looking at it (which you rarely can), head over to Zhongewen.com or Yellow Bridge and find the character you’re looking for. As soon as you’ve seen the logic behind the character, it becomes reasonably easy to remember that 下 means under, 上 means over and 大 means big (click the characters to follow links that will explain them). Even non-obvious explanations might help, such as for the character 水 (water). It’s probably impossible to guess the meaning of this character based only on what it looks like, but it’s not that hard to see it once you know the answer. Thus, knowing what a character represents is essential for remembering. However, there are cases where the etymology is unhelpful, so you often have to come up with a mnemonic of your own to remember the character. This might also happen for some simplified characters which have simply lost their original moaning. It doesn’t matter what kind of trick you use to remember the character, anything goes as long as it help you remember it. It’s pointless to learn the real etymology of a character if it doesn’t help you remembering it! Most of the characters you will learn are fairly complex; they consist of many different parts that together make up a single character. This is even more true if you study traditional characters, but remember that most characters aren’t simplified at all and most of those that are still might be fairly complex (see this article for more about simplified and traditional Chinese). To learn these, you need to know what the component parts mean and then link them together using memory techniques. Again, you don’t need to care too much about the real origin of the word, as long as you use the real meaning of the component parts, you’re on the right track. This character consists of three parts: 禾 (grain), 火 (fire) and 心 (heart). The two first are combined into 秋 (autumn). This is in reality a phonetic combination, but it’s easy (at least for me as a Swede) to see how plants in nature turn into fire as autumn approaches. According to the dictionary, the combination “autumn” added to “heart” is also phonetic (秋 and 愁 are pronounced similarly), but again, we don’t really care about that now. Doesn’t feeling like there’s autumn in your heart mean that you’re sorrowful? Approaching winter is also a reason to worry, especially if your harvest has burnt down. This is a character that has a useful mnemonic in it already, you don’t need to come up with something on your own. The character is constituted by two component parts 正 (correct) and 攵 (strike), so who, if not the government, corrects bad behaviour by hitting people? It might be a cynical view of the state, but the image is easy to understand and remember. Since this is what we’re after, this is a good association. The component parts are 山 (mountain), 豆 (bean) and 見 (see). The real origin of the word involves combining “see” with another character that has a similar sound, but which meaning is completely unrelated. However, adding some humour to learning Chinese, it’s easy to create a new idiom: “the other man’s bean mountain is always taller”. Having come up with this mnemonic, I will never ever forget this character. For the simple characters I’ve said that anything that helps you remember works. This is not true for complex characters with many parts. If you’ve just started studying Chinese and encounter a character which looks like a man wearing a hat, don’t create a mnemonic based on that. It will work for a while, but what you have to realise is that soon you will have fifty characters which all look like different people in various kinds of hats and the system breaks down completely. Also, you can’t create thousands of these pictures without going insane. The solution is to use the real meaning of the component parts and then make mnemonics based on those! Feel free to go crazy, but do it using a solid foundation. When you’ve been creating these kinds of memory aids for yourself for a while, you will get very good at it. Take it easy in the beginning and have fun, try to find as cool mnemonics as you can and share them here! I think that my “the other man’s bean mountain is always taller” is almost unbeatable, but perhaps you’ve found something better for another character? Knowing how to learn individual characters, you are close to discovering how to learn words really fast, but first we need to look a little bit closer into characters and words. 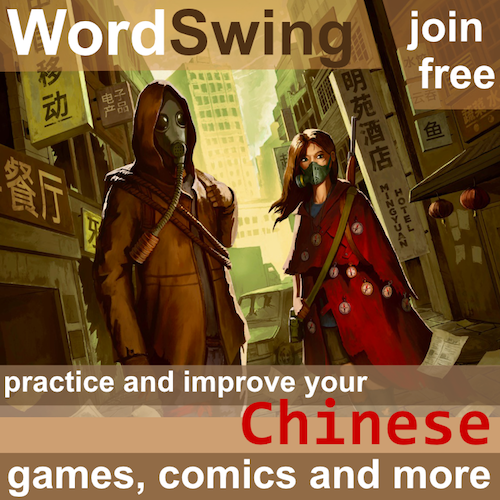 The character 好 is a good example of a beginner level word where one could use your method. I was just told about your site today by a friend and I find it really fascinating! I’m in asituation where I’ve been studying chinese before (and forgot most charecters) but is quite good in the day-to-day spoken chinese. Now I want to step up to the next level and hope to become really good in chinese for real. Your site is just what I need to find the tools and inspiration to get started again, thanks! OMG this post just saved me massive pain. I just started learning to write characters 5 days ago and already have two “man in a hat” mnemonics. Although I try to follow the etymology already, I’m going to force myself even more in that direction. I did something like that, each component was a single object (rather than abstract things or actions) so I could really see them in my mind, so creating the stories is pretty much like playing a point and click game when you gotta several common objects and need to combine them in creative ways to solve a puzzle. I also put the stories in different themes to learn the readings, each reading being a different theme, most of the themes were games that I played or movies/animes that I watched, I doesn’t need to be very detailed, as long the theme is clear it’s enough (e.g. one of my biggest themes was “KAN”, it had more than two hundreds of kanjis in it, I used generic images about Gengis Khan and his time, and although I don’t know any history detail I could make the memonics just as well). I have been using this method without knowing there was a literature about it, and it works very well… the most important thing is that you personalize “your” story behind the character. eg. 愁 … your explanation makes sense and it’s probably the most correct one, but for me it wasn’t easy to remember.the day after I couldn’t come up with the link between the 3 components. So I I looked at the three components of the character again and made up my own one “if your grains 禾 are all set into fire 火，well then in your heart 心 you must be very worried”. … this is just to say that everybody can use this method, with a bit of creativity!! thanks for the blog, it’s great! Actually, there’s research into mnemonics that supports your experience, i.e. that mnemonics created by the student him/herself are more efficient than those created by others and “learned” so to speak. I just want to point out that my mnemonic for 愁 isn’t “correct” at all, it’s just the way I think about it! This system works. However I am wondering how to deal with those characters that have multiple meaning unrelated? I mean those characters that need a second character to be clarified. If you haven’t seen them in context (i.e. you just note that they have multiple readings in a dictionary), ignore the extra readings until you actually encounter them. I haven’t found these characters very hard (apart from telling them apart really quickly while reading aloud). If I need to, I simply combine more than one concept into each mnemonic. If they are related, this isn’t all that tricky. For instance, 長 means both “long” and “to grow”, which are obviously related, so imagining something growing and becoming longer is enough. Of course, you need to remember that both of these are actually different words, but that will come fairly naturally once you’ve seen them a lot. Yep, thanks. I was adding characters to my Anki deck. As you said I just write one/two meaning that I already encountered. I am loving all the information on your site and plan to buy the ebook very soon! I’m newbie, fresh off the boat newbie. I’m learning the radicals first with your anki deck. Can you tell me what characters to start learning for a newbie? Should I start with HSK basic/elementary list? They claim to be the most common. Would you recommend I learn a bunch of those “common” characters before starting to learn words – learn the maths as you say? I wish you had a list for those too 🙂 Any recommendations would be great! I also plan on signing up for ChinesePod soon. However, before then I don’t quite have a vocabulary collection apart from the “most common words in any language” list I have for past language studying. Would you recommend I use that for my beginner vocab list? Sorry, coming from learning Japanese which was much worse and I spent way too much time figuring how the best WAY to learn instead of actually learning. So far, Chinese seems easier – much easier. I just want to start strong. Thank you!! Hi! Get a textbook instead. I don’t recommend using word lists for learning new words because it will be out of context and even if you could add that yourself, it will take way too much time. A good textbook will do that for you. My textbook familiarity is a few years out of date, so I don’t dare recommend anything in particular, but look around on the internet and see what people recommend! I found the page talking about Radicals very useful. I’ll make sure to keep it in mind!